George Sabin was sentenced to be incarcerated at the Wyoming State Penitentiary November 19, 1909 for second degree murder. He was named by Herbert Brink as the leader of seven cow men who had slain three sheep men in the Spring Creek Raid. The last armed conflict between cattlemen and sheep growers occurred in the Nowood Valley at Spring Creek, 7 miles southeast of Ten Sleep, Wy. During the “Spring Creek Raid”, seven masked riders raided Joe Allemend’s sheep camp, killing Allemend, his nephew Joe Lazier and Jules Emge and burning two sheep wagons. The raid was supposedly motivated by Allemend’s bringing his herd of 5,000 sheep into the Nowood Valley which cattle interests had declared off limits to sheep. In many regions cattle men established “dead lines” which sheep crossed at the risk of their lives. According to an account by Brink told to a jailer and Stanley Hudson. “The men who were thought best fitted for the job, among who was Sabin the old cow man, and Brink, were detailed to attack the three men while the others went across the creek to get the sheep herder at the second wagon. The raiders then opened fire upon the wagon and continued to shoot as long as the sheep men kept up their resistance. After the firing ceased, Brink secured a five gallon can of kerosene oil from under the wagon, splashed its contents against the end and the sides of the wagon and set fire to the oil.” Joe Allemend was shot while leaving the wagon by Brink.” the other man inside the wagon was dead. The third man who had been asleep in the teepee at the side of the wagon had gotten out of bed and stood up only to fall dead under the hot fire of repeating rifles in the hands of the raiders. Bowlegs asked Sabin where his prisoners were. Sabin said, “I guess they’re all dead”. The raiders then decided that they had done enough for one night and soon after separated and went their respected ways”. In March 1909, Herbert Brink, Tommy Dixon, Milton Alexander, George Henry Sabin, and Ed Eaton were brought to Trial in Basin for participation in the killings. Two others, Charles Ferris, and Albert Keyes turned state’s evidence and were not charged, Brink was convicted of first degree murder, Alexander and Sabin were convicted of second degree murder. Dixon and Eaton each plead guilty to arson. While serving his time here at the WSP, “Sabin had started a baseball team and Seng was the catcher. They had a first rate team. They had good uniforms and everything necessary to the sport. Seng was hung on the twenty fourth of May. The ball team didnt amount to much after they hanged the catcher. 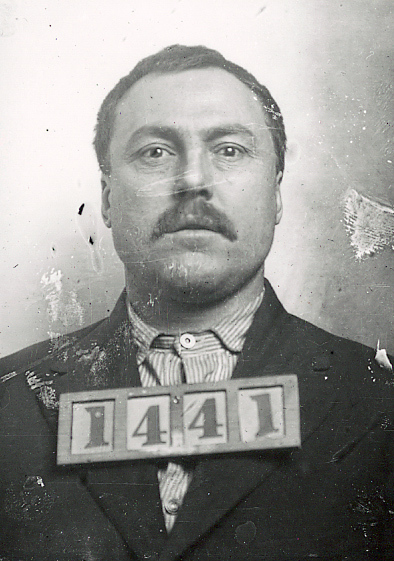 On December 25, 1913, while working on a road gang, Prsioner Sabin was able to escape because the guard with him permitted him to roam about the town of Basin, money in his pockets, and among friends. Sources: Wyoming Frontier Prison files, Sweet Smell of Sagebrush, Hungry Men May Become Desperate Men, The Fence Post newspaper website, and Bed and Breakfast Inns and Ranches of Wyoming, Ten Sleep website.